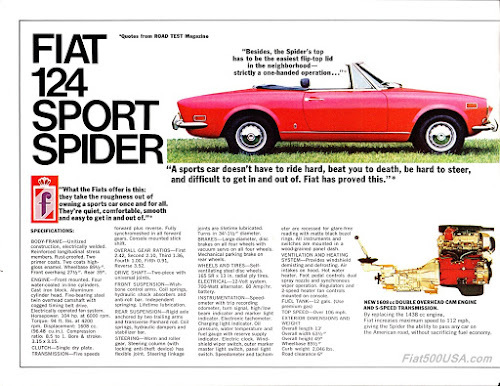 The first car I ever bought was a Fiat 124 Spider, and I spent a good portion of my youth driving that car and other spiders I would own or have access to over the years. So when Fiat invited me to sample their new 124 Spider I was excited to see how the 2017 version would stack up against my cherished memories. This would not be easy because the original 124 Spider was known for its refined driving performance and elegant, sophisticated good looks. 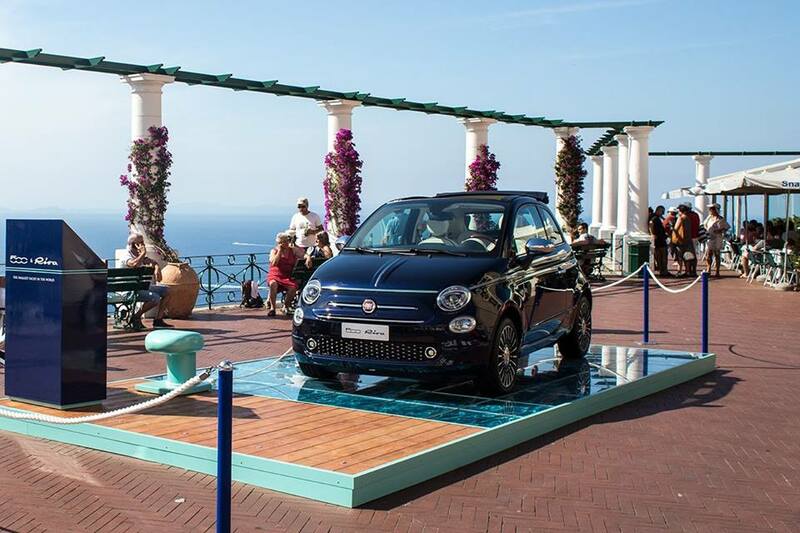 Fiat did well picking the venue. Fiat put together a beautiful route through the hills and canyon roads outside San Diego. It was the perfect location to experience the handling of the new 124 Spider. Along with the winding roads, Fiat also had some highway sections for high-speed testing. After a presentation by the members of the 124 engineering, design, and marketing team, Fiat turned us loose on the road. During a press drive, we typically team up with another journalist, so one drives while the other navigates. This way everyone gets turns at the wheel. I lucked out and teamed up with a Fiat executive which gave me maximum seat time. 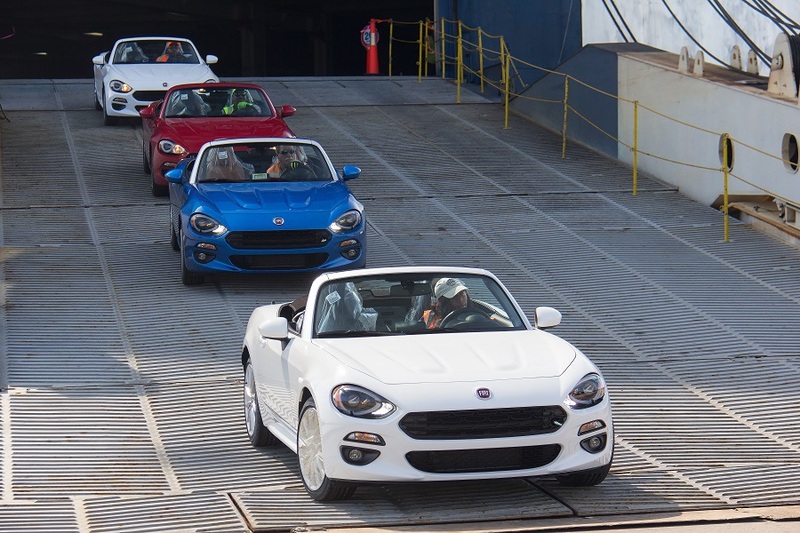 Towards the end of the day, those who wanted got to sample 124 Spider Abarth pre-production cars on an autocross track Fiat laid out in a stadium parking lot. The new Fiat 124 Spider is the modern day interpretation of the classic 124 Sport Spider introduced to the world at the 1966 Torino Auto Show. The classic 124 Sport Spider was a revelation in the affordable roadster segment because it offered sophisticated technology like a high revving twin cam engine, 5 -speed gearbox, 4- wheel disc brakes and an ingenious watertight convertible top that could be folded up or down in seconds. The car was thoroughly modern while its main competitors of the day were older designs that relied on low-revving push-rod engines, stodgy suspensions and complicated convertible tops that usually leaked. 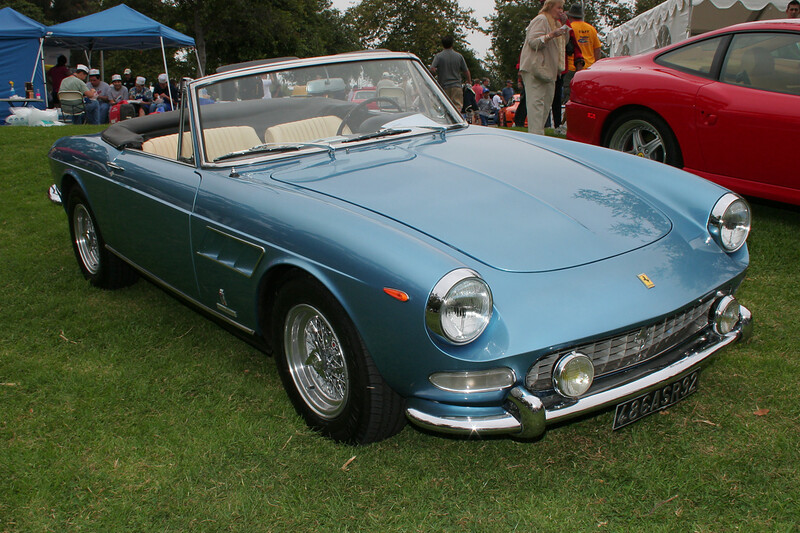 The 124 Spider was universally acclaimed for its refinement and driving pleasure as well as its good looks. With styling penned by the legendary Tom Tjaarda of Pininfarina and incorporating design cues taken from the Ferrari 275 GTS and Tjaarda's own Corvette Rondine concept car, the car was and still is considered a masterpiece. Fiat produced somewhere around 190,000 124 Spiders, 170,000 of those were sold in the US between 1968 and 1985, and about 8,000 are still registered on our roads today. Picking up where Fiat left off, Mazda introduced their own version of an affordable modern roadster in 1989, the MX5 Miata. The Miata is commonly referred to as the Japanese take on a British roadster. However, its specs which included a twin cam engine, 5-speed gearbox, 4-wheel disc brakes and a well-sorted chassis is arguably closer to the 1966 Fiat 124 Spider than any affordable English roadster. Something to think about? Regardless, fast forward to 2012 and it is only fitting that the two car companies that have contributed the most to affordable sportscar enthusiasts teamed up to share development costs on a new generation of modern roadsters. The FCA car would use the new chassis that Mazda was developing but create a unique car with its own exterior design, an Italian engine and do its own chassis tuning. 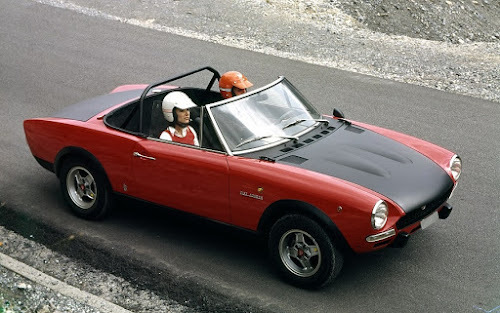 At first, FCA was going to use the joint venture as a way to supply Alfa Romeo with a new Duetto Spider, but later switched gears and gave the project over to Fiat and Abarth. That brings us to today's 124 Spider. Styling of the new car was performed at Fiat Centro Stile in Italy by a team led by Felix Kilbertus who was the former lead designer at Pininfarina a while back. The car is not really a retro design or copy, and all exterior sheet metal is unique to Fiat and not used by Mazda. 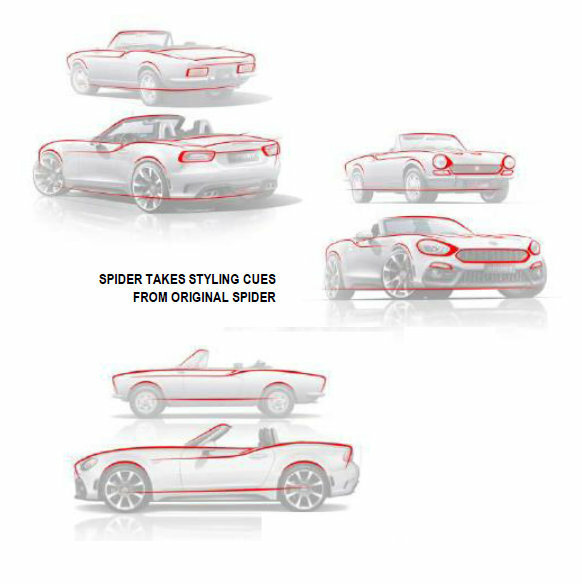 The 124 Spider is 5 inches longer than the MX5. Different concepts were proposed, but the one selected incorporated some of the distinctive stylistic elements of the original Tjaarda design but reinterpreted in a modern way. The classic's signature belt-line kick up on the rear quarters, the "seagull" section on the rear fenders and rear deck lid shape, as well as headlight bucket contours that help define the hexagonal upper grille, are all there, but with a fresh take. New touches such as available LED headlights and prominent air splitters up front, and a rear decklid spoiler, LED taillights, and dual exhaust out back keeps the design current looking. Drag coefficient for the Spider (across all trims) is 0.35. The Abarth version turns up the heat big time. Aggressive, and aerodynamically tuned front and rear fascias are added. 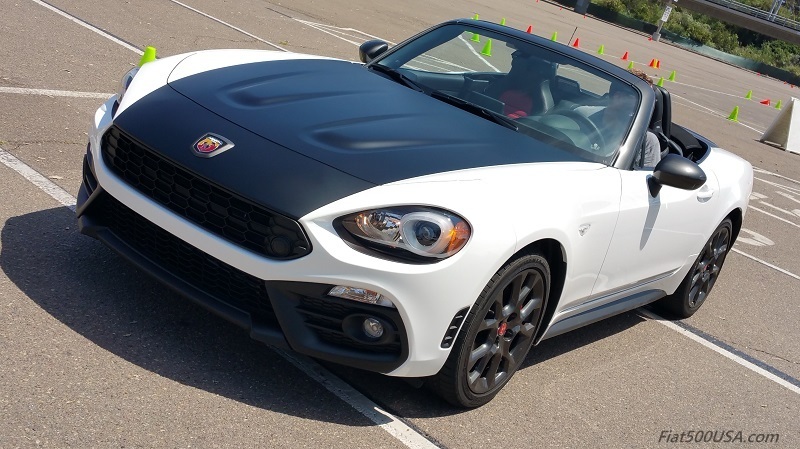 The front features a larger air intake, which is functional and can support the needs of the 300 hp Abarth 124 Rally. The Heritage package celebrates the look of the original Fiat Abarth 124 Rally. The anti-glare kit on that car did double duty as glare reduction and also as a thermal heat sink to absorb underhood heat. Virgilio Fernandez, Chief Designer Interior for Fiat Centro Stile and the man responsible for the interior of the new Spider as well as the 500, 500L and 500X, likens the design of the new Spider to a son who bears a strong family resemblance to the father, but has grown taller and more powerful. Taken as a whole, the new 124 Spider does carry on the elegant, European flair of the original with maybe a touch more aggression. For a guy who had posters of Spiders hanging up on his walls when he was a kid, I have to say the design works for me, especially from the front. To complement the European sports car styling of the exterior, Fiat gave the inside of the new 124 Spider a makeover. While some main interior components like the dashboard, center console, and switchgear are carried over from the MX5, Fiat's changes create a whole different atmosphere. Here is where Virgilio Fernandez worked his magic. Think more upscale European grand tourer vs. Japanese minimalist look. 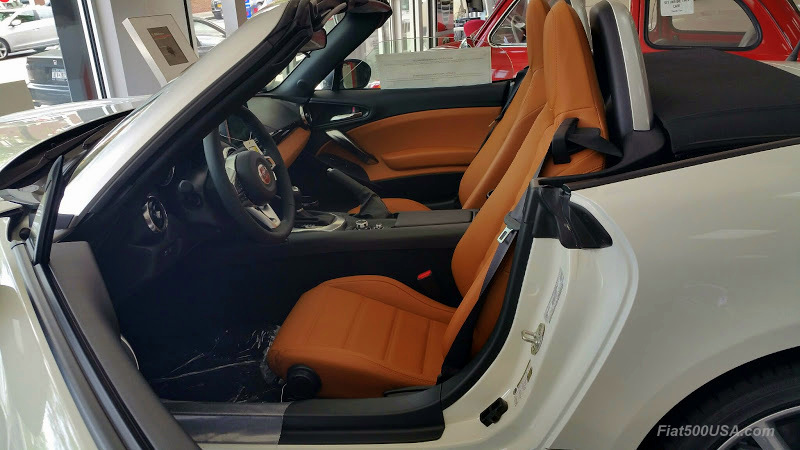 Gone are the body painted hard plastic door panels of the MX5 and in are the gracefully sculpted and appointed 124 Spider panels. The seat structure is unique to Fiat and designed for enhanced, long ride comfort. 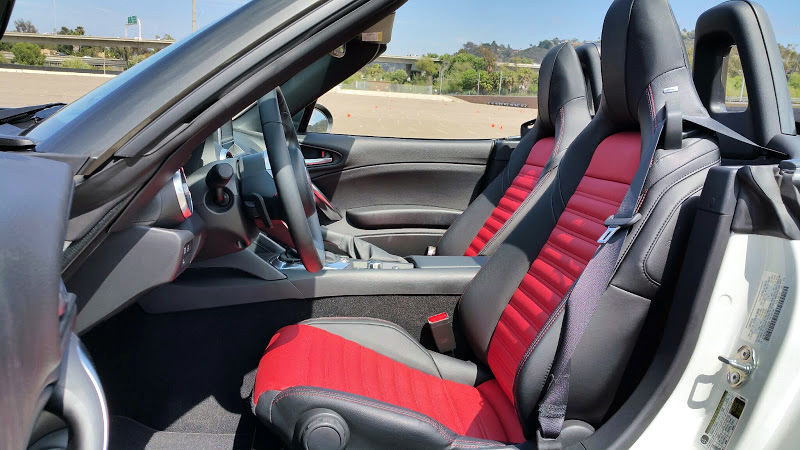 Seat upholstery is upgraded, and the leather is rich and supple. 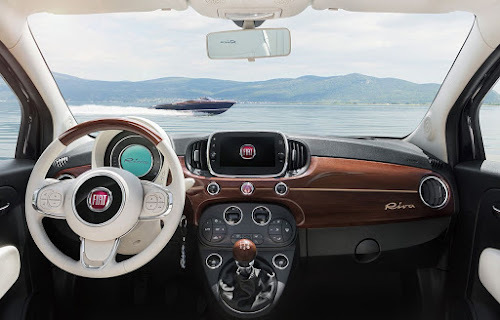 Lusso and Abarth models have a leatherette wrapped instrument panel binnacle cover, creating continuity to other upscale sporty Fiat models like the 500 Abarth and 500X. The lower dashboard on these models is also covered and padded. Just like the original Spider, the new car has an easy to operate convertible top. With the top down, you reach behind you, release a catch and just pull the top up and engage the latch. It is a one handed operation and the top has an assist feature that helps raise it so it doesn't require much effort. 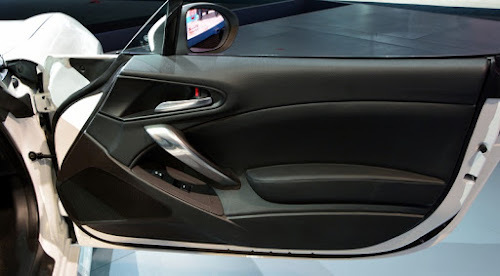 The power windows also automatically lower approximately 140 mm to assist with operating the top. 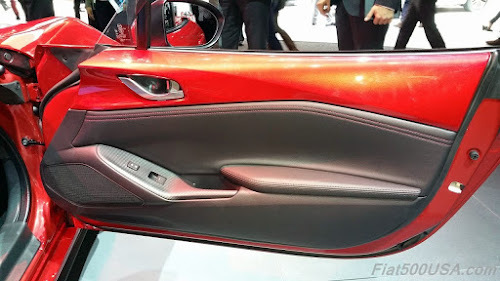 These images comparing the door panel on the MX5 and the 124 Spider underscore the differences in the interior and what each company was going for. The Mazda's door panel features a body-colored hard plastic upper area and is a simple design with a pillow like armrest. It is a minimalist design that calls to mind the basic and raw sportscars of the 1950s and early 1960s. 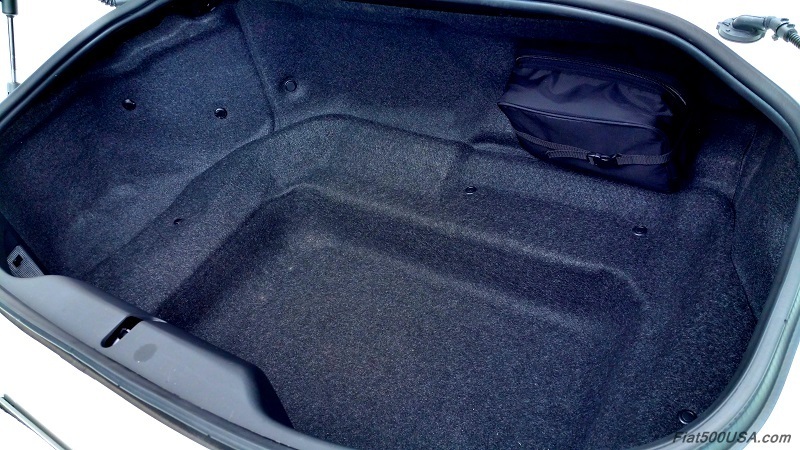 The Fiat, on the other hand, is heavily sculpted and features soft-touch materials and padding. The armrest/door pull recalls the classic 124 Spider's. The design is sophisticated and upmarket looking and compliments the seat upholstery, giving the car a refined, European high-quality feel. 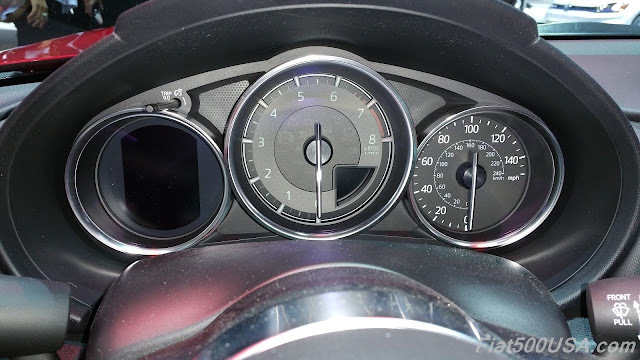 Mazda MX5 Instrument cluster. Note the fonts used and compare to the ones used on the Fiat. The font used on the Fiat is much more stylized, modern and sporty. Adding to the refinement is a new Noise Vibration and Harshness (NVH) package, that includes eight additional points of noise abatement compared to the MX5, including extra insulator pads underneath the floor and transmission tunnel, acoustic glass windshield, thicker insulated top and thicker rear glass. The results are a quiet car at highway speeds where normal conversations are possible. This car is substantially quieter than the MX5. Even with the top down, the car is surprisingly quiet as the windshield post channels air over the passenger compartment which eliminates the buffeting that normally would have you reaching to put the top up on lesser cars after 10 minutes on the highway. Wind buffeting is almost non-existent at normal speeds. I drove the car for hours with the top down, even at speeds in excess of 90 mph all while carrying on normal conversations. That is something you can't do in a traditional convertible, and it is impressive. 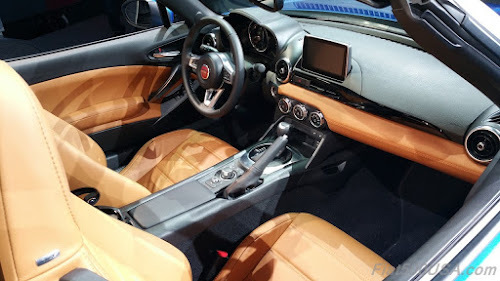 While arguably most Fiat enthusiasts would love to see a 100% Fiat designed interior, the added refinement is very much like what the original Spider brought to the roadster segment when it was new 50 years ago, so in this way there is continuity. Both the old and the new Spider are a nice way to spend a long day with, but the integrated air conditioning and quiet environment of the new car are tough to beat. 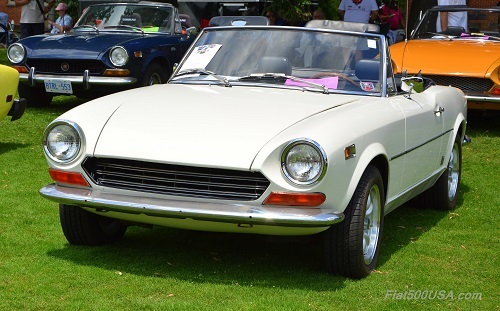 The 1966 Fiat 124 Spider came with a revolutionary twin overhead cam engine that featured belt drive and easy to adjust valves. This greatly simplified manufacturing and made a twin overhead cam engine a reality in an affordable car. Before the Fiat Twin Cam engine came out, only expensive cars used this valve arrangement. The first affordable, mass produced twin overhead cam engine. 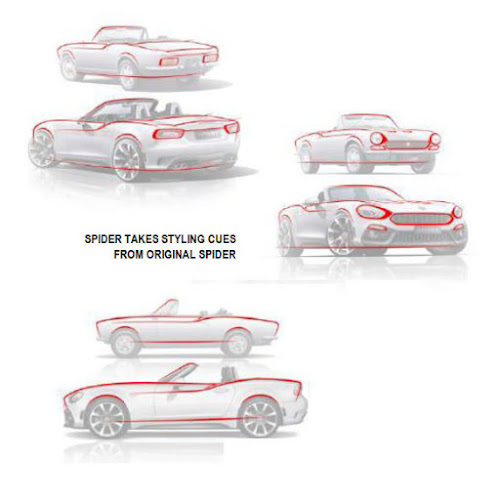 Like the original 124 Spider, the new Spider also features a noteworthy engine design. 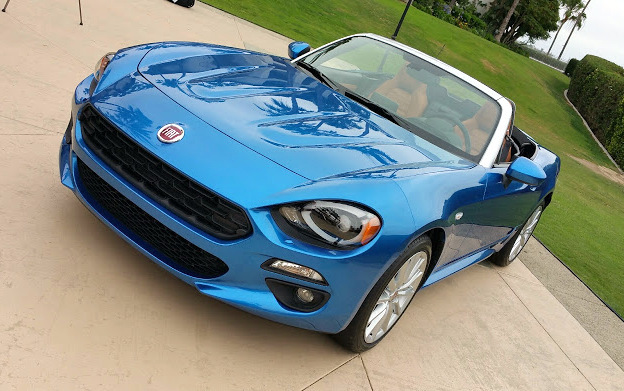 The Fiat 124 Spider uses the 1.4 L MultiAir Turbo that first debuted in the Alfa Romeo MiTo and has made its way over the years into numerous other FCA models including the North American 500 Abarth. Hallmark of this engine is the MultiAir technology that earned it the title of Best New Engine of 2010 in the International Engine of the Year Awards. The 16 valve cylinder head for the 124 Spider started off as a twin cam design, but in MultiAir form, gets the intake cam tossed in favor of electro-hydraulic valve actuation. MultiAir operates directly on the intake valves and is best described as variable valve timing on steroids. 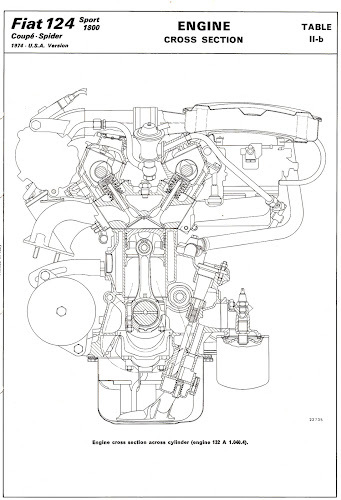 Intake valve opening and lift can be infinitely varied, stroke by stroke, cylinder by cylinder. 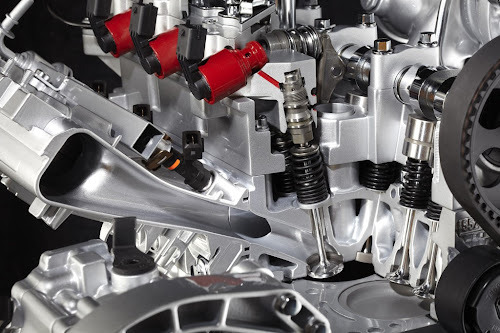 The efficiency impeding throttle valve function is also replaced by direct control over the intake valves. Real world gains in drivability and fun to drive characteristics, as well as fuel economy and exhaust emission improvements are realized. In particular, MultiAir boosts low-speed torque and part throttle response. In the 124 Spider, the MultiAir Turbo produces 160 hp @5500 rpm and 184 lbs-ft of torque at 3200 rpm. The Abarth version produces 164 hp which is attributed to the free flow exhaust. However, the tuning is also different than the standard car. 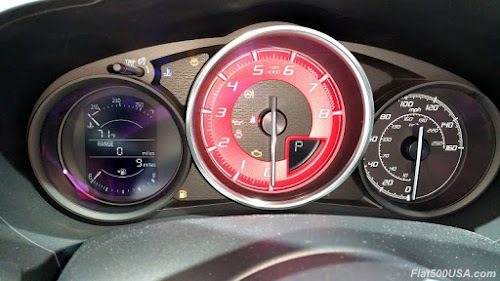 The Abarth is equipped with a Sport button and when engaged the Abarth's throttle response is more aggressive, and the engine's 184lbs-ft of torque is now available at 2500 rpm, 700 rpm lower than when not in Sport mode and the other Spider models. Classica and Lusso models do not have a Sport button. By comparison, these other models make 169lbs-ft of torque at 2500 rpm, 15 lbs-ft less than the Abarth in Sport mode at the same rpm. In Sport mode, automatic transmission shift calibrations are also changed, and gears are held longer, and shifts are made quicker. Steering calibration is also modified, and stability control settings have more oversteer dialed in for an even sportier handling feel. 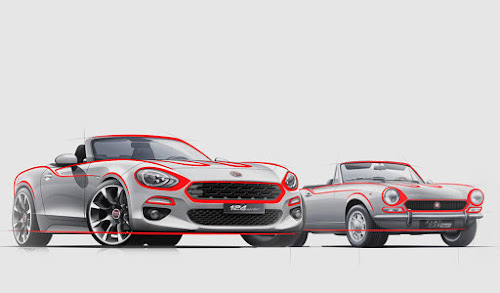 The Fiat 124 Spider uses an efficient front mount intercooler, compared to the 500 Abarth which uses twin side mount intercoolers. 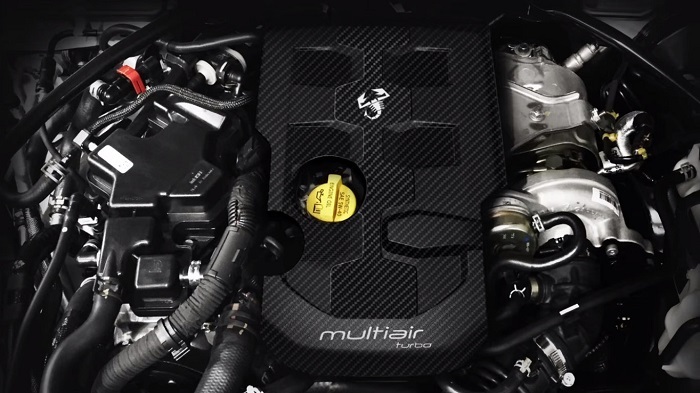 Other specs for the engine show a maximum boost pressure of 22psi, and the car uses a front mount intercooler. Zero to 60 mph is officially 6.8 seconds with an aggressive 4,000 rpm launch, although some development drivers have recorded the run in 6.4 seconds. The engine's redline is 6,250 rpm. The Spider is the first application of the 1.4L MultiAir Turbo in a longitudinal installation, which required numerous changes to the engine. Different manifolds, oil pan, timing cover, intercooler, and mounts were needed and re-engineered. 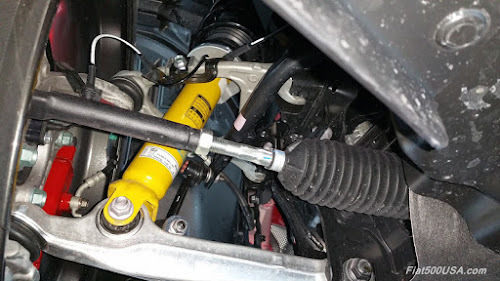 Even the ignition coils were changed out. 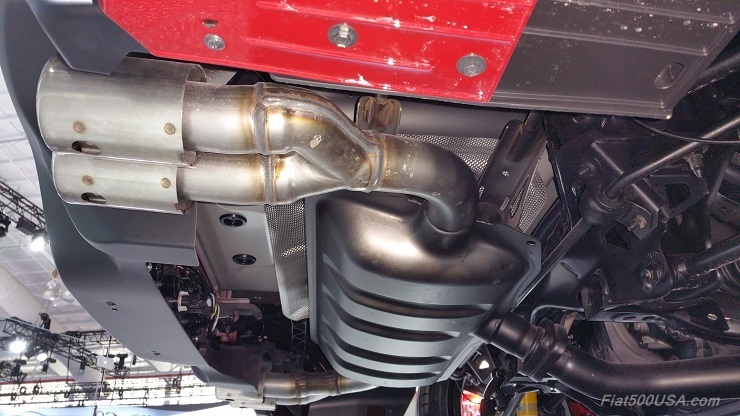 The 124 Spider features a dual outlet exhaust. Plain stainless steel tailpipes are used on Classica models, while Lusso models sport chrome tips. In keeping with Carlo Abarth's legacy, a free-flow high-performance exhaust is standard on the Spider Abarth, complete with quad tailpipes. 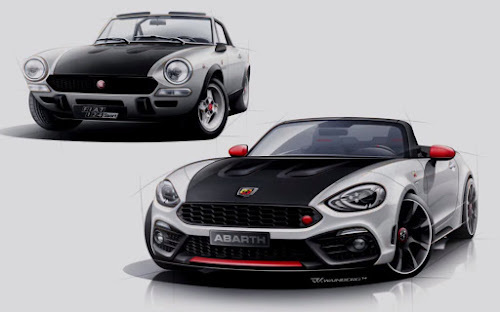 In contrast to the North American 500 Abarth, which uses an unmuffled system, the Spider Abarth has two extra bends and does have a muffler. The rear valance is also unique to accommodate the larger tailpipes. An interesting detail is in Europe, the Abarth's free flowing exhaust muffler is changed out at Abarth's central headquarters for a Record Monza system which features an exhaust bypass valve. In the US, the Record Monza will be offered as a Mopar accessory. Changes in exhaust noise pass-by standards, as well as a way to keep the price down, were contributing factors to that decision. It should be noted that the European Abarth 124 starts at €40,000, compared to $28,195 (about €26,200) for the North American version. 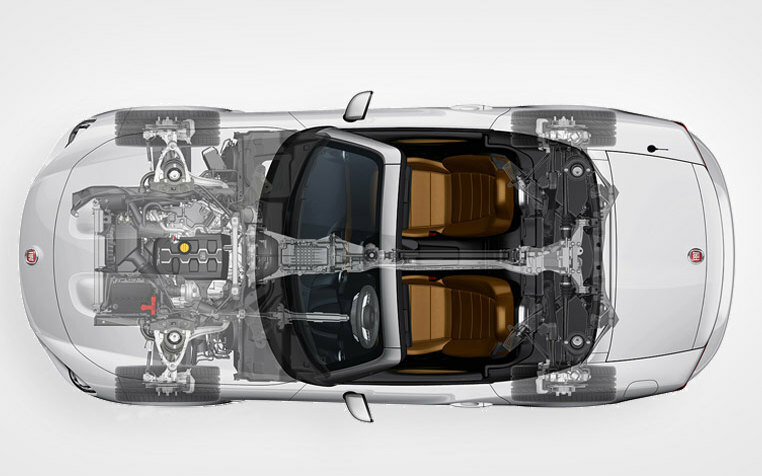 To cope with the substantial 36 lb-Ft more torque the Fiat 1.4L engine puts out over the MX5's engine; Fiat purchases the previous generation's MX5 transmission from Mazda to be installed in the new Spider. 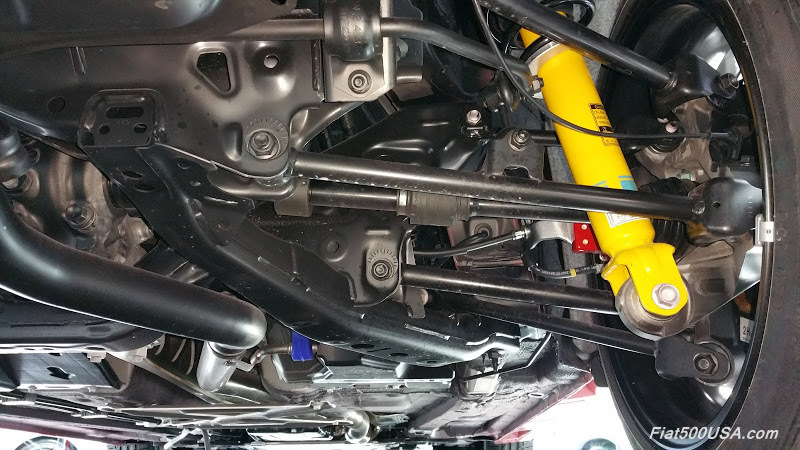 This transmission has a higher torque capacity. Gear ratios have been selected to ensure sprightly performance. For those who want to sit back and let the car do all the work, an Aisin 6-speed automatic transmission is used and is specific to Fiat. Abarth models are outfitted with paddle shifters and a Torsen mechanical limited-slip differential as standard equipment. The 6-speed manual transmission features short shift throws and has a stout feeling. The automatic also performed well and seemed to be in the right gear most of the time. I shifted it manually a good deal of time while I hammered the car pretty hard on the mountain roads and it responded relatively quickly. The Abarth version I drove with the automatic banged out very quick shifts via the paddle shifters on either side of the steering wheel. Building upon the capable MX5 chassis, Fiat adds its unique exterior sheet metal made with a significant amount of high-strength steel, giving the 124 Spider outstanding torsional stiffness. To keep weight down, the hood, trunk lid and front and rear bumper reinforcements are aluminum, as is the underbody crossmember, seatback bars, and the bulkhead panel. Even the seats feature a lightweight net material on the backrest and seat cushions. 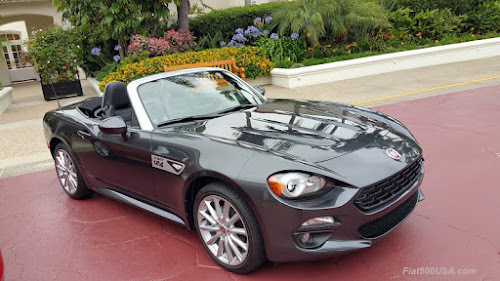 The result of this weight consciousness is the 5 inch larger, more luxurious and quieter Fiat 124 Spider weighs only 100 lbs or so more than the lightweight MX5. Twenty pounds of this is attributed to the stronger transmission used, and the rest is said to be mostly the extra weight of the more powerful MultiAir Turbo engine and its accessories. Continuing on with the sophisticated and refined theme, suspension settings on the Spider offer a well damped and controlled ride that is not harsh. Calling to mind the original 124 series that was also praised for its suspension tuning, Fiat engineers spent time working on dialing out some of the MX5's body roll. The double wishbone suspension at the front and five-link setup in the rear are well done, just like the suspension in the original 124 Spider. Handling is very sure footed and nimble. Pushing the car on the winding mountain roads outside Carlsbad showed just how well the car handles. Steering was very precise, and the cars placement can be corrected with just a small movement of the wheel. After driving the car quite briskly on unfamiliar roads, I only had one 'oh boy' moment where I entered a corner that ended in a blind, off camber turn at the crest of a hill. I had to consciously sit up in the seat to view where the road went while dialing in more lock than I was expecting. The car responded quickly and predictably and went exactly where I wanted. I glanced over to the Fiat executive sitting next to me who graciously didn't react. Later on the highway, I enjoyed excellent highspeed stability while talking the ear off of my friend. The Abarth version's handling is even sharper. We didn't get to drive the car on the road but were given the opportunity to drive it on a long autocross track laid out in a parking lot filled with bumps and a surprising amount of dirt. The verdict after numerous turns taken driving the various Abarth models provided is this will be one hot autocross car. Throttle steer is effortless in this car, and it is easy to get the rear to rotate around the cones. Even with the Traction Control System (TCS) and Dynamic Stability Control (DSC) switched off, I felt the car was super forgiving. I began to wonder what it would take to get the car out of shape. It is a true gift to enthusiasts. Below is a chart comparing the springs on base and Abarth Spiders. You can see the Abarth spring tuning has been incrementally tweaked to give even crisper response without trashing the ride. The standard Bilstein shocks of the Abarth have been valved to give tight damping without being harsh. Spring Rate values in the table are a proportion based on the standard Spider's front Spring Rate. After hours of driving the car, I was not tired or worn out, despite the demanding mountain roads and the top being down most of the day. In this way I was reminded of the 124 Spider that I've known from the past - refined, easy to drive and pure fun. The new car takes that experience into the 21st century. If you are a fan of the original but yearn for a more modern and comfortable experience, you should treat yourself to a drive in the new Spider. More Fiat 124 Spider Articles. Everything you need to know about the Spider is here. *Update:7/29/2016: Abarth Spiders with the matte-black anti-glare package will now all be sent to a central Mopar authorized Penske paint center near Detroit to have the paint applied. Preliminary info given was the painting would be done at facilities located near the ports, but this was scrapped due to local environmental paint regulations. 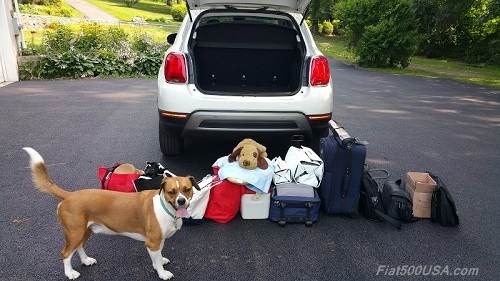 July 4th is not only Independence Day but is also the day the Fiat 500 celebrates its birthday. This year denotes the 59th anniversary of the debut of the Fiat 500 in 1957. Fiat traditionally holds a celebration to mark the occasion and this year the island of Capri was chosen in part to highlight the new, limited production 500 Riva model. Fiat teamed up with Riva, the famous Italian maker of luxury yachts, and created the special edition 500 Riva. The beautiful island off the coast of Italy was the perfect venue to show off the elegant 500 Riva. 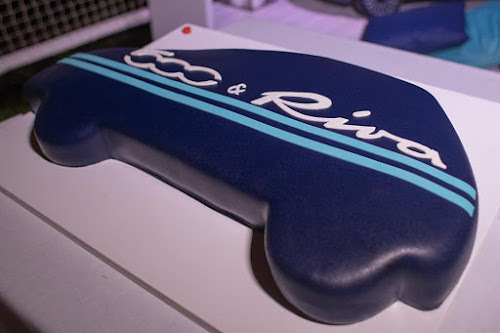 The special edition 500 Riva fits right in. 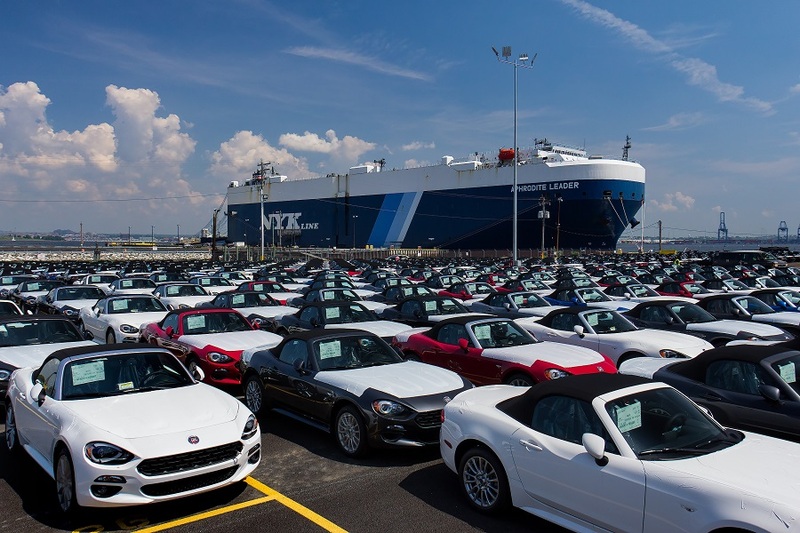 Fiat 124 Spiders are well on their way to dealers! Fiat sent out images of the cars being unloaded at the Ports of Baltimore and San Diego earlier last month. The Fiat 124 Spider brings Italian good looks to the affordable roadster segment. These initial orders will be Spider Classica and Lusso models. The Fiat 124 Spider Abarth will be arriving later, towards the end of summer. Dealers are getting notified of what cars are coming to them and some already have cars.